Searching diet plans for women can be an arduous process. Women and men have vastly different body types. Women are smaller, produce different hormones, are predisposed to different diseases, and by the way, lose weight differently. This is why it doesn’t make sense for men and women to attempt to lose weight on the same diet plan—just as no person will lose weight the same way any other person does, the methods employed to ensure weight loss must vary widely as well. The safety and effectiveness of diet plans are often called into question. Follow these tips to ensure that you are getting the best diet for you. 1. Talk to your doctor. No one knows more about the body than the person who spent their entire career studying it and its processes. Your doctor can give you specialized information about your own body type, and he or she will take into account any conditions you may have that further impede your weight loss goals. Your doctor can also tell you how to stay safe when implementing a new diet plan, and regular visits can help keep you on track. Your doctor is the most valuable resource you have in the weight loss process. 2. Do your research. Choosing a weight loss plan is important. Investigate a variety of diet plans, making sure to look at the ones that best suit your needs. Don’t get hung up on crash diets, as many of these are unsafe and unreliable; you may end up depriving yourself of crucial nutrients and jeopardizing your health, or you might find yourself gaining all the weight back if you don’t do it properly. 3. If necessary, be willing to spend money. Some of the most effective diet plans out there—the ones that are most likely to help you lose the weight for good without putting your health at risk—are the ones that cost at least some money. Don’t discount diet and weight loss plans because there is an associated cost; remember that it’s an investment in your health and a healthier future. 4. Keep a detailed record of everything. You’ll be better able to implement solutions to drastically improve your lifestyle if you are fully aware of not only your day-to-day habits, but also the patterns that emerge in your lifestyle as you study it over time. 5. Find a support network. You may be able to get this from your doctor, or from one of the weight loss programs you select. There are also numerous communities and support groups that can help you; you may even be able to find an online group and form friendships without even leaving your home. The point of this is to stay accountable to others and to be able to share your issues with people that are going through the same challenges as are you. Losing weight can often be more difficult for women than for men, and the pressure to be thin can be unrealistic and crushing at times. You deserve to lose weight—and keep it off—in a way that keeps you healthy and makes you feel strong and confident. There are many diet plans for women from which to choose. Achieving successful results, can be easy when these important steps are followed. Click here for more great weight loss information and instant access to the #1 diet plan on the Internet! If you’re wondering if it is possible to lose weight in 3 days– it certainly is. However, losing weight is not an easy process and there are a lot of people out there looking for easy fad diets to get the results they desire without the effort. To substantially affect change in your body, it is important to make constant changes that include healthy diet and exercise, and expect that the most significant change will happen gradually. But there are a number of ways to make a quick change that results in rapid weight loss, and you can use them to get a jump start on more significant weight loss. The 3 Day Diet includes a stringent meal plan designed to be precisely followed. Evidence that this leads to substantial weight loss, however, is somewhat sketchy; many people argue that the diet results in a loss of mostly water weight, not actual fat burning. The diet can be repeated as often as one likes, with periods of 4-5 days of normal eating in between, with the aim of keeping the metabolism from adjusting to the lower number of calories and maintaining the speed of fat-burning processes. The 3 Day Diet plan has shown some effectiveness in losing weight, but it is not a guarantee that the weight will stay off. You can certainly use it to lose weight in 3 days, but it should be followed by a more regular regimen of healthy eating and exercise– this way you will continue to burn fat, but you will be doing it in a healthy way. You can also significantly increase your weight loss– particularly during this intensive three day period– by drastically raising your activity level. To consistently burn enough calories to lose weight, you should be raising your heart rate above 120 for 20-30 minutes a day. Spend this three days getting a great deal of exercise, and replace your meals with small snacks throughout the day if you choose not to follow the stringent meal plan of the 3 day diet. Also, ensure that you are drinking a great deal of water. Staying hydrated helps you have more energy to continue to burn those calories that will result in weight loss. None of these tips is a sure thing for every person. Everyone is different and will lose weight at different rates. But you can use this as a guide to get started with rapid weight loss; you may not lose ten pounds, but you will lose weight in 3 days and will be well on your way to losing more. Click here for more great weight loss information and instant access to the #1 weight loss plan on the Internet! Wouldn’t it be nice if there was an easy way to separate the diets that work from those that aren’t so effective? There is an absolutely overwhelming number of diet plans out there, and probably just as many health experts claiming to have the solution to all your weight loss problems. It can be difficult at first glance to sort through the multitude of information and sales pitches that are presented with the typical diet plan. This means that just finding out exactly what a diet entails can require research not only into the diet itself, but also into the principles on which the diet is founded. Is the weight loss plan based on scientific studies and established dietary theories, or is it simply a scam that throws around buzzwords to sound more legitimate? It might be harder than it sounds to tell the difference. Fortunately, there are a few characteristics that can help to point you in the right direction when you’re looking for diets that work. Research every diet plan that you come across and try to spot these positive traits. They’re clues that a diet is based on legitimate theories and sound nutritional science. First, diets that work are upfront and transparent regarding their requirements and guidelines. A good diet plan has nothing to hide because it’s not based on speculation or guesswork, but rather well-researched and verified studies. Have you ever seen a sales pitch for a diet plan that boasted about being the “secret of the stars,” the “best-kept secret,” or something similar, all the while failing to convey any information about the actual diet? Unfortunately, many diet plans are full of marketing and hype. They provide vague promises instead of useful information to the potential dieter, and for good reason – they often don’t offer much of value, especially after the plan is purchased. Legitimate diet plans also make sales pitches, but they tend to emphasize authoritative information and a thorough explanation of how and why their weight loss plan works; providing more substance over hype. Second, diets that work are focused on educating the dieter rather than simply serving up meal plan after meal plan. Anyone can sketch out a week of meals for breakfast, lunch, and dinner, but what about these meals is helping the dieter to lose weight? If the diet program doesn’t explain why these foods are healthy or why they’re encouraging the dieter to lose weight, it’s failing the dieter in the most fundamental way: it isn’t providing education and guidance, which should be a primary goal of every diet program. Diets that work will not only lay out meal plans, but will explain the nutritional science behind these foods, leaving the dieter with a deeper understanding of human physiology as it relates to food and also teaching a lesson that lasts a lifetime. Finally, diets that work are realistic. We are only human, after all, and we naturally enjoy a wide range of foods (as nature intended), even some that aren’t so great for us occasionally. The creators of legitimate weight loss plans understand the temptation of the foods around us and usually do not exclude entire food groups or even an occasional “cheat meal” from the menu. Not only does our food keep us energized, but it provides vitamins and minerals that are essential for optimal health. Thus, the best diet plans typically recommend a healthy mix of many food types, as opposed to limiting oneself to one or two, and eliminating the nutritional benefits of the others. Successful diets allow us room to indulge in all the foods across the spectrum, though obviously some foods, such as sweets, should be included in moderation. 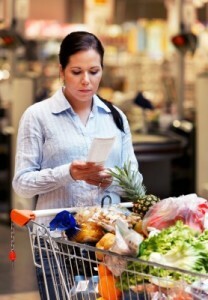 Sorting through the multitude of available diet plans and evaluating their promises objectively can be a daunting task. However, keep an eye out for these characteristics in your research and you’ll find that it’s much easier to identify the diets that work from the duds. If you’ve been searching for a successful solution to dieting and want to find a weight loss program that can stop the endless diet cycle for you, click here. The world of health and nutrition is somewhat complex and can seem very daunting, and that’s exactly how programs like LA Weight Loss seem to want you to feel about it. For many people, losing weight successfully seems to be some kind of magic secret that no one wants to share. Some accomplish it easily, while others struggle even though they try just as hard. There is an incredible amount of information circulating concerning health and nutrition as they relate to weight loss. It seems that new studies are coming out every day that disprove old theories and cause us to constantly re-evaluate the foods and practices that we consider healthy. It’s no wonder that so many people are confused about weight loss, and end up feeling hopeless after attempting to diet without seeing results. It’s this kind of confusion that diets like LA Weight Loss seem to prey upon. 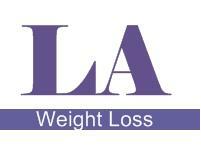 The LA Weight Loss plan is an expensive program (when you consider the costs relative to the budget of “average” individuals) that requires dieters to answer an extensive set of screening questions before learning anything about the diet. Members of the program are required to check into one of the company’s fitness centers three times a week for a weigh-in and a meeting with a counselor. The LA Weight Loss meal plan is actually very simple and does not require any kind of special food, as it mainly focuses on foods that are easily found in stores. The plan does not appear to offer any kind of specialized advice, instead opting for general, common-sense ideas like decreasing intake of sweets while increasing intake of fruits and vegetables. But the program seems to reveal its true nature when the counselors begin their sales pitch. According to an ABC News report (2007), from a reporter who signed up for the LA Weight Loss program, members are quickly be bombarded by suggestions from their counselors to purchase the nutritional supplements and meal replacements offered by the program, including chocolate bars and juice. According to report, the counselors are quite aggressive with offering these items, stating that although they’re not absolutely necessary for weight loss, they will help a great deal. This is one of the ways that the program preys on dieters. Many of them have previously tried several diet plans with varying degrees of success, and they’re told that these dietary supplements will make all the difference in their weight loss journey. Unfortunately, a number of dieters believe the hype and purchase the products; sometimes at considerable expense. After all, the counselors are experts, right? The result of this tactic is that it squeezes as much money as possible out of every member, and not necessarily to the dieter’s benefit. The above is an example of why it’s never a good idea to follow a diet plan that specifically recommends, or enforces, the use of its own special food products. 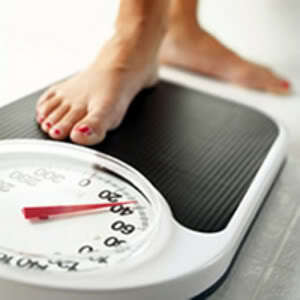 There is no weight loss product that will provide results that a balanced diet and an active lifestyle cannot provide. If you are faced with a program that strongly suggests the use of its own products, remember two things: first, if the company goes out of business, you will have no way to get their weight loss products anymore; and second, no legitimate weight loss program or strategy will require you to eat or drink anything beyond what you can find in the grocery store and cook at home. LA Weight Loss certainly isn’t the only program to seemingly take advantage of dieters with promises of special products that encourage weight loss, and it won’t be the last. Keep an eye out for these programs; make certain when searching for a suitable weight loss program to do your “due diligence” in terms of research and fact-finding, and remember that the primary purpose of these extra products is simply to make more money from dieters who already pay for a membership. If you’re interested in a weigh loss plan that features a balanced diet of nutritious food choices without special meals, bars, supplements and the like, click here. Simply hearing the phrase “cookie diet” probably reminds you of a bit of wisdom that your parents once told you: if something sounds too good to be true, it probably is. You might think that a diet plan designed to encourage weight loss couldn’t possibly be based on the consumption of cookies. Yet the cookie diet, in all its incarnations, recommends exactly that kind of eating pattern: dieters are allowed to eat six cookies throughout the day when hunger pangs strike, followed by a small dinner of lean protein and vegetables. As you might suspect, the cookies are specially formulated to function as meal replacements, providing a balanced mixture of protein, carbohydrates, and fat, as opposed to the typical sugar-laden treats that we loved to see in the oven as children. The cookie diet, however, suffers from several fundamental flaws that greatly impact its effectiveness, and these flaws are common to many short-term fad diets. 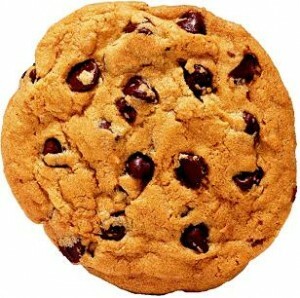 There are several variations of the cookie diet, but they all follow the same general pattern. The cookies along with the small dinner combine to provide the dieter with about 800 calories per day. If we consider that calories are simply a measurement of the amount of energy contained in the food we eat, it’s obvious that 800 calories is not enough energy to sustain an adult human with no adverse effects. The United States Department of Agriculture estimates that females from the age of 19-30 require 2000 calories per day, even with a sedentary lifestyle. The cookie diet’s daily allowance of 800 calories is clearly far below this number. People who undertake this diet will likely lose weight because of the extreme caloric restriction; it’s a simple fact that taking in so little energy from day to day will cause one to lose weight. However, diets that function on extreme caloric deficiencies are counter-intuitive because they send the body into “starvation mode”. The body’s metabolism is tricked into thinking that there isn’t enough food available so it becomes more likely to store food as fat in preparation of going hungry in the future. This is the exact opposite of the cookie diet’s goal of weight loss and actually promotes weight gain, especially once the diet is stopped and the dieter returns to his or her old eating habits. At this point, the body hoards its new-found surplus of energy by storing it as fat. So if the cookie diet’s mechanism of weight loss is extreme caloric reduction, how do people manage to stay on it without breaking the diet or feeling like they’re constantly starving? It turns out that the cookie diet’s original creator, Sanford Siegel, perfected his cookie formula to include specific amino acids that curb appetite. Those who subscribe to the cookie diet are actually starving themselves, but they don’t realize it because of the appetite-suppressing ingredients in their cookies. Any diet that requires the user to trick his or her body’s natural mode of operation, should be approached carefully. Even with the cookie diet’s appetite suppression working in its favor, it’s not a sustainable diet plan. If the dieter sticks with the diet perfectly for three months and loses a considerable amount of weight, he or she will likely decide to give up the diet since the original weight loss goals have been met. 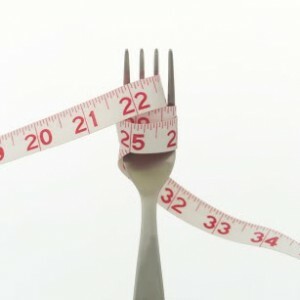 However, as soon as the dieter returns to his or her previous eating habits, the weight will likely pile back on. 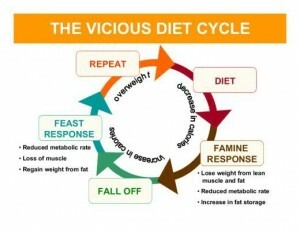 This flaw is common to most fad diets, especially those that rely on the frequent consumption of a particular food. They’re unsustainable because either the dieter gets tired of eating the same thing over and over, or the weight loss goals are reached and the diet is abandoned. To keep off the weight, the dieter would have to continue the diet indefinitely – a virtual impossibility, especially with the cookie diet. No one is denying that cookies are tasty, but would you want to eat them every day for the rest of your life? Keep these traits of the cookie diet in mind when researching the next big diet plan and you’ll find it much easier to weed out the good from the bad. If you’re interested in a weigh loss plan that features a balanced diet of good-for-you, wholesome and nutritious food choices, click here.